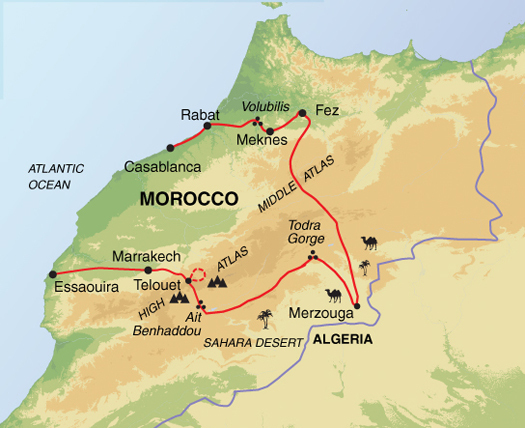 Highlights of Morocco – The Great Canadian Travel Co.
For sheer diversity, Morocco is the perfect destination. 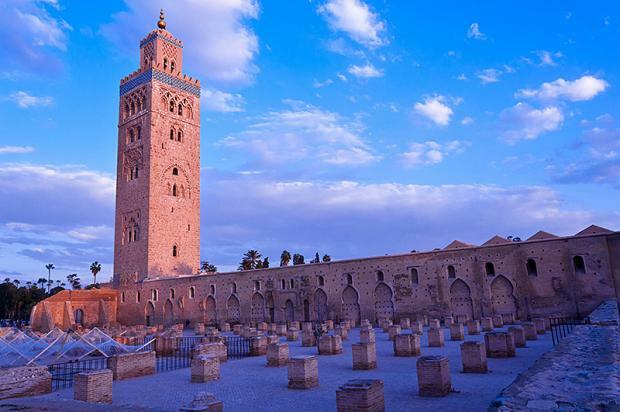 Explore the imperial cities of Marrakech, Meknes and Fez; mountain ranges where sand dunes and kasbahs are scattered among palm oases inhabited by friendly Berbers. Prices are shown in CA$, per person based on two people sharing twin accommodation and one person in a single room. Prices may vary slightly from those shown for certain dates. As the availability of tours is constantly changing please ask us for the most up to date availability and prices. 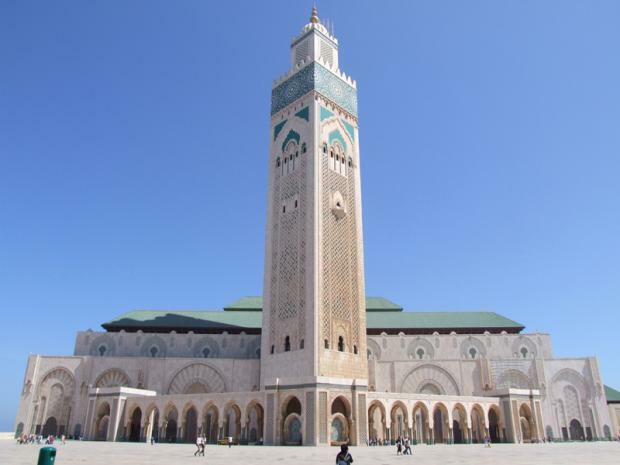 Arrive in Casablanca independently and transfer to your accommodation. A modern and commercial seaport, Casablanca is a complete contrast to the Morocco we are soon to explore. 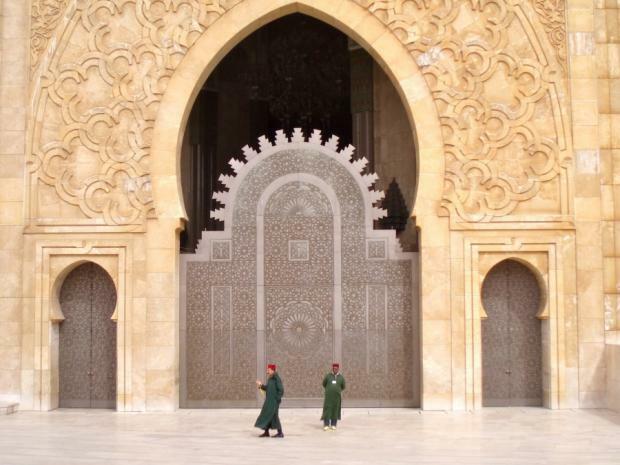 This morning we visit the Hassan II Mosque, one of the largest mosques in the world. We then lunch in Rabat, the political capital of Morocco, but second to Casablanca in importance. Although mostly modern, Rabat has an excellent old quarter that we take time to explore before striking out over the northern plain to Meknes. We begin to see the scenery change as the landscape becomes more cultivated, Meknes being one of the most fertile areas of Morocco. exploring this site we continue our journey to Fez, where we spend two nights. 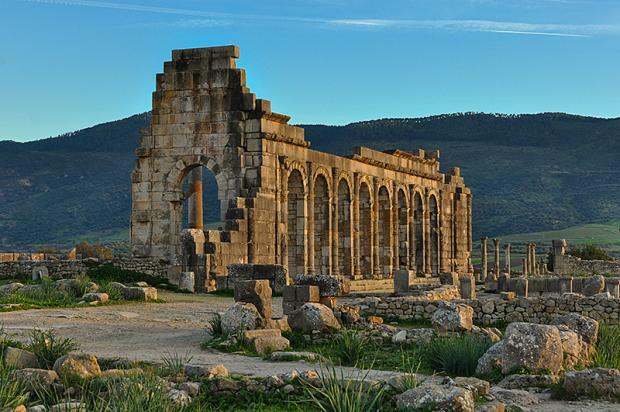 This fascinating city is the intellectual and religious centre of Morocco. 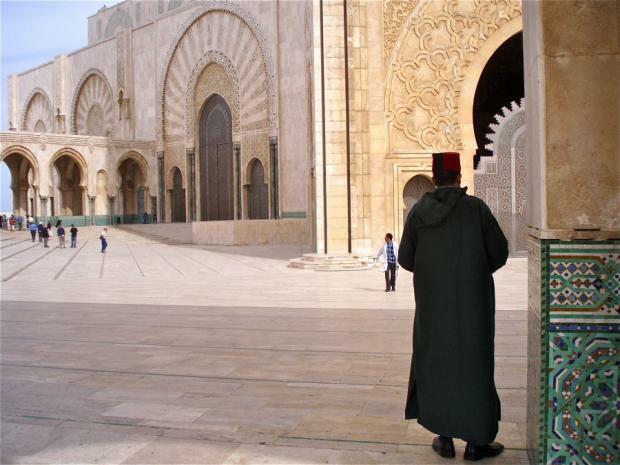 Founded over a thousand years ago, Fez has many mosques and medersas (theological colleges) including the 9th century Karouine University, whose architecture is very similar to that seen in Moorish Spain. The medina in Fez is one of the largest in the world. In its immense and confusing warren of souks are thousands of craftsmen with their tiny shops opening onto the narrow alleyways. Noisy and pungent, hot and claustrophobic, the medina of Fez is a totally absorbing and unique experience. 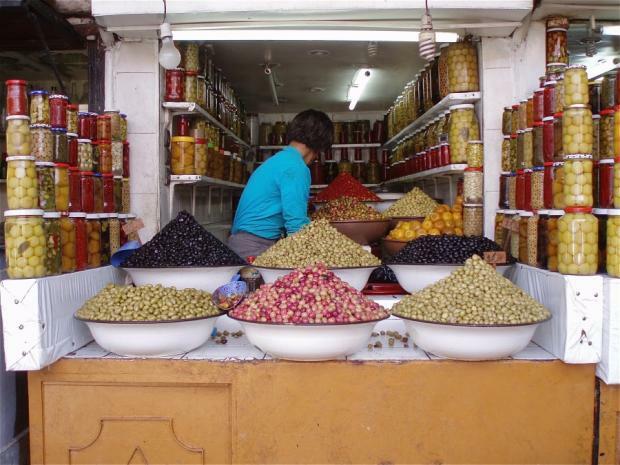 Our city guide shall walk us through different sections of the souk – from the dyers souk to the brass and copper souks. 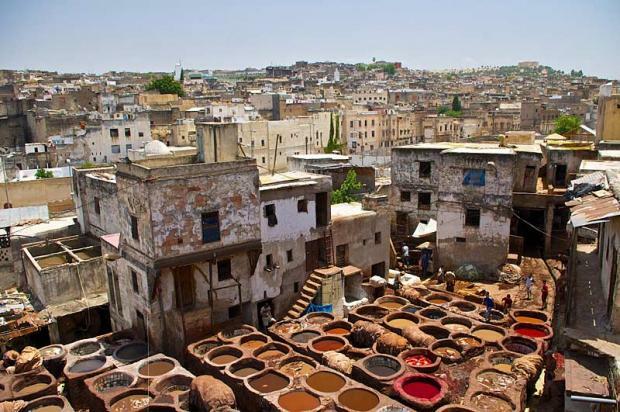 And of course, no visit to Fez is complete without a visit to the tanneries. 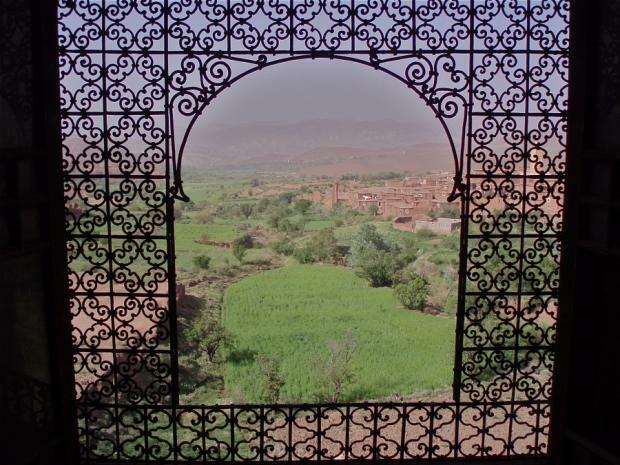 Outside the medina we shall visit the Jewish District (mellah), the exterior of the Royal Palace and drive to a panoramic viewpoint over the medina. We shall also visit the potteries where the famous mosaic tables are made from the grey clay of the Rif Mountains. night in a simple Bedouin camp. walk on a gentle uphill gradient to our base, where we spend the next two nights (Our bags will be transported to the gite for us). 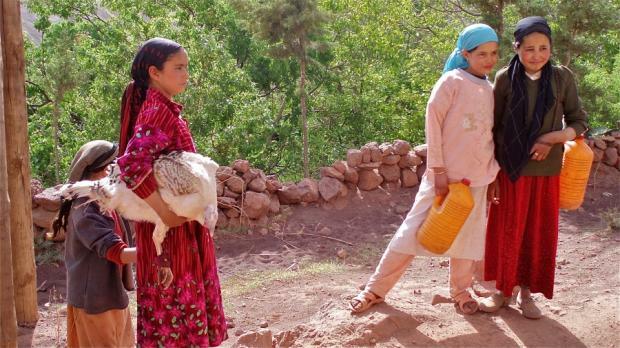 We start our day with a four hour walk through the villages of the Tijhza Valley, passing fields cultivated by the Berber women. 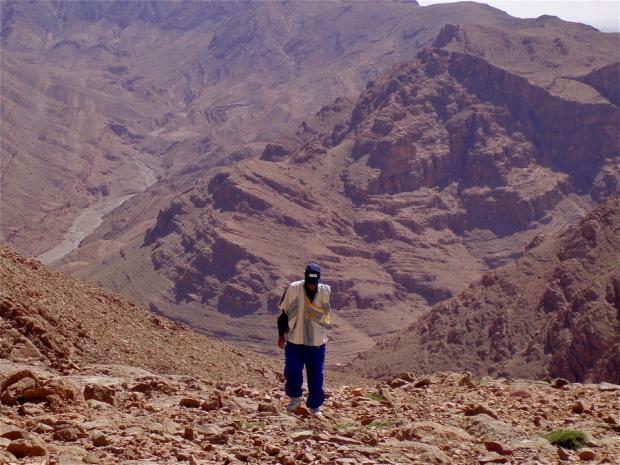 Heading up into the hills on mule tracks, the peaks of the High Atlas act as a fitting backdrop to our walk. The afternoon is free to relax with a book, enjoy the mountain views, take a stroll through this beautiful landscape or challenge the local children to a game of football! Tijhza is just one of four villages in this remote valley that has been supported by Exodus for over ten years on various projects requested by the Village Association, such as building a water tower or a Hammam (Moroccan steam bath) that will help with hygiene standards in the village. Morocco. 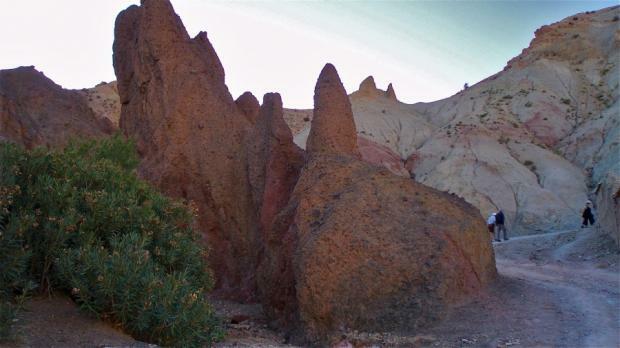 The scenery is spectacular and there are some wonderful views of the mountains. 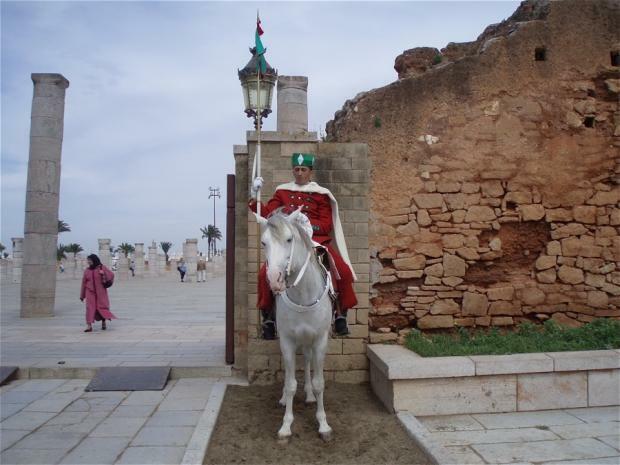 The second half of the trip brings us to the flat arid plains of Marrakech and then onwards to Essaouira. 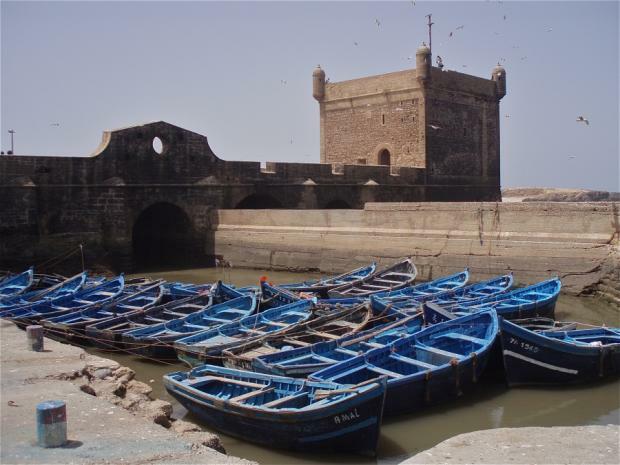 A free day in Essaouira, a charming old Portuguese fishing port overlooking the Atlantic Ocean coast. 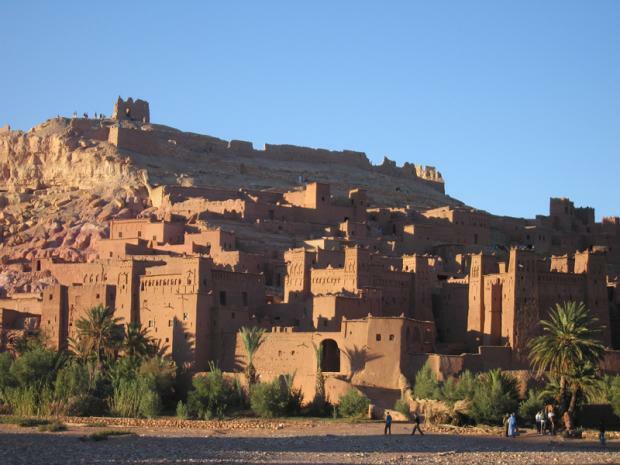 The settlement dates back to the 15th century but the present town was constructed around 1760 by Sidi Mohammed ben Abdullah, who needed a base from which to suppress a revolt from Agadir. Today, the town is extremely relaxed and its whitewashed houses with painted shutters, artisan’s workshops, boatyards and fishermen provide a marked contrast to the desert, kasbahs and cities we have so far visited on this trip. 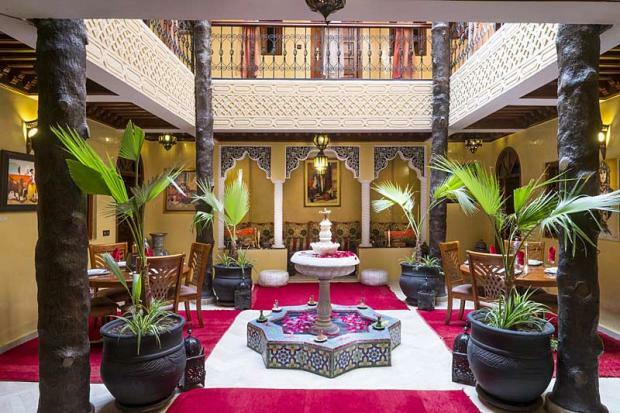 Our hotel is situated in the heart of the old walled city, where we have plenty of time for some shopping in the souks or strolls along the picturesque beach. With many pleasant cafes and some outstanding seafood restaurants we have plenty of choice for our evening meal. After breakfast we head for the ‘Pink City’ of Marrakech and in the afternoon we enjoy a guided tour to help us find our feet and soak up the atmosphere of this amazing city. Our city guide will take us to the Bahia Palace, the Saadian tombs – which incredibly date to the 16th century – and the Koutoubia Mosque. 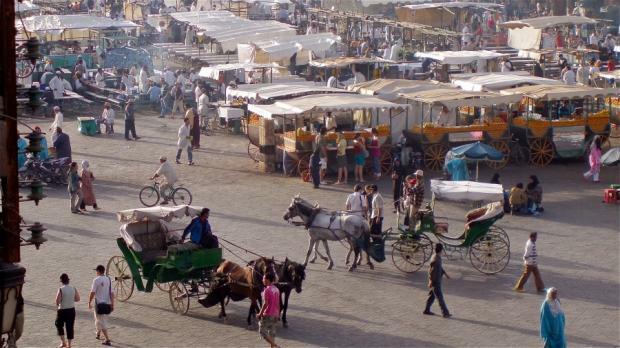 We end in the Djemma el Fna, where the town becomes a maze of bustling bazaars, palaces and mosques. It is worth seeing this renowned landmark in the evening, as Marrakech revolves around the open-air central square. With the food stalls, snake charmers, water-sellers and acrobats, it is a place of night-time entertainment for both local people and tourists. 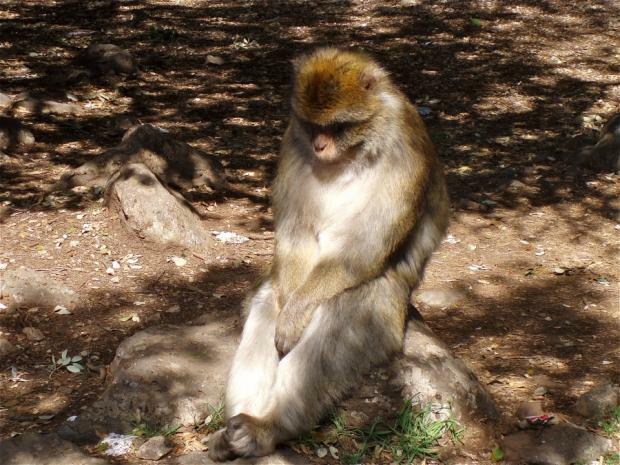 Today is a free day in Marrakech and there is no shortage of things to do. You might like to visit the largest Mosque in Marrakech, Koutoubia, or venture through the souks and old streets of the medina. 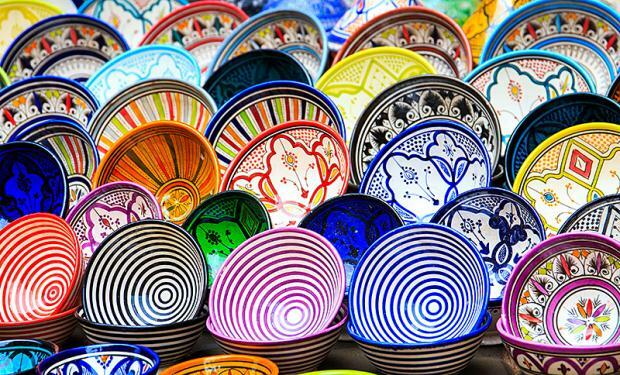 After bartering for souvenirs in the labyrinthine souks, there will be time for a short visit to the Koranic School and Museum of Marrakech. 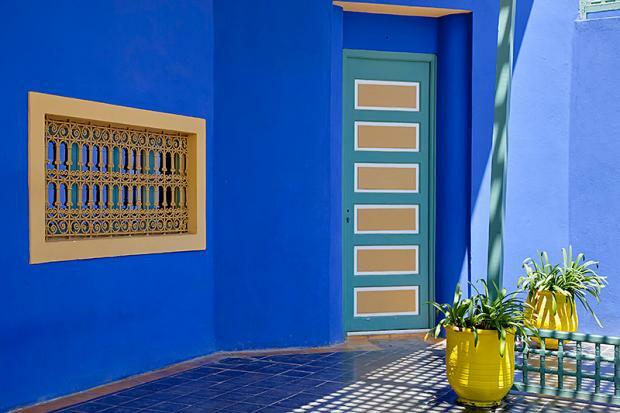 After this, unwind by taking a ½ hour Caliche ride (a bright green horse-drawn carriage) to the Jardin Majorelle. These tranquil gardens are decorated throughout in indigo blue and owned by Yves St. Laurent. A final treat would be a hammam, a traditional Moroccan steam bath. Following breakfast your tour ends. 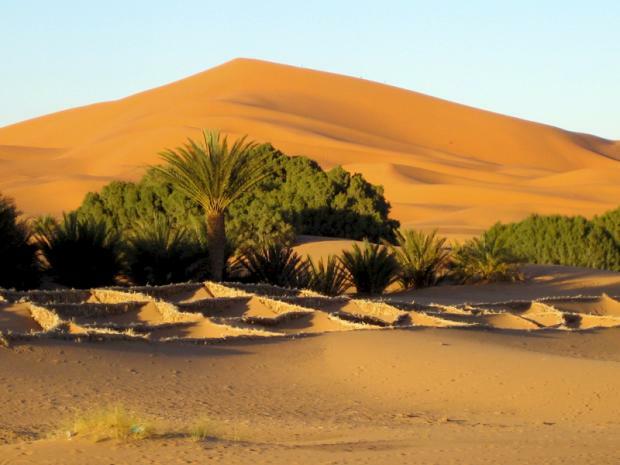 You may choose to fly home from Marrakech or continue on to another interesting destination. The choice is yours and we can help you with your plans. This program is a small group, guided holiday with between 4 and 16 like-minded people, with an average group size of 12. 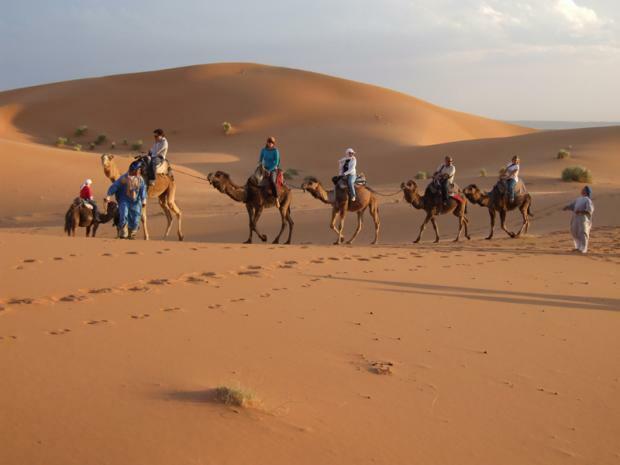 This trip provides an insight into the enormous variety that Morocco has to offer, including cities, history, architecture, desert and mountain scenery. We spend quality time in the places that matter, the pace is not rushed but a couple of the journeys are long. We are not confined to our vehicle though, as there are plenty of photo stops and opportunities to stretch your legs. Accommodation standards are below that of Europe and more comparable to that of Sub-Saharan Africa. The temperatures in the cities may also be hot in the summer months but we try to make the most of the coolest parts of the day. 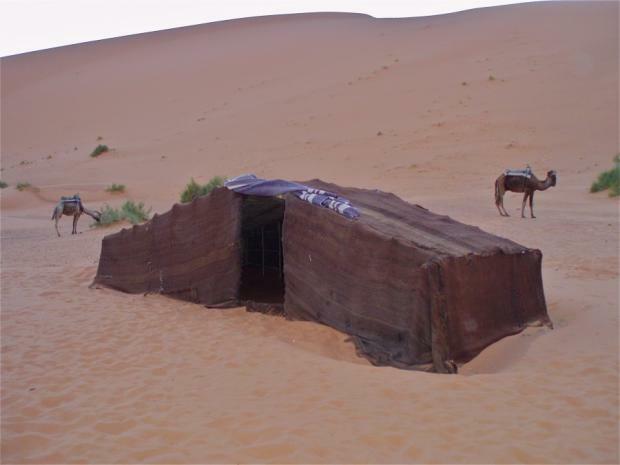 A highlight of our trip is a camel trek in the Sahara and a night at a Bedouin camp. 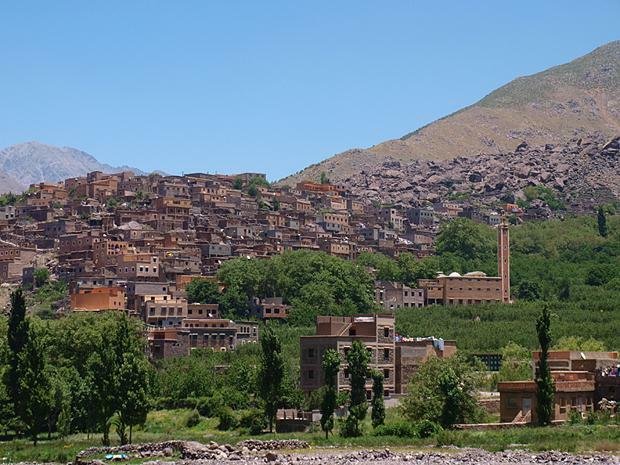 We fit in a visits to Todra Gorge, the beautiful 16th century kasbah of Ait Benhaddou, and enjoy a village walk in a picturesque valley of the High Atlas. We complete the trip with a walk along the sandy beach of Essaouira. 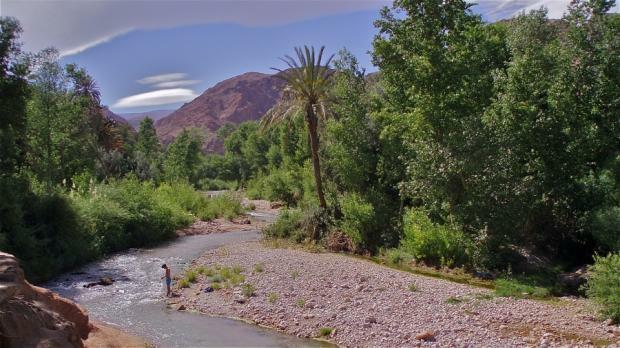 A reasonable level of fitness is required in order to enjoy the outdoor, activity portions of this trip, including the hike in the Atlas Mountains. Ramadan: Please note Ramadan runs from May 15th to June 14, 2018. During Ramadan, our local guides and drivers choose to work and so we continue to run trips in this period. However, it does need to be recognised that the energy levels of our local staff may be a bit lower than usual and that some restaurants may be closed during the day. Having said this, Ramadan is a unique time to visit a Muslim country – each evening the streets empty for an hour while everyone breaks their fast, and there’s a feeling of festivity in the air every night. Premium tours offer upgraded accommodation (10 nights boutique hotel and premium riads, 1 night auberge, 2 nights mountain gite and 1 night Bedouin camp).